Beamdog has re-released classic BioWare and Black Isle RPGs under its Enhanced Editions range with some mixed results. 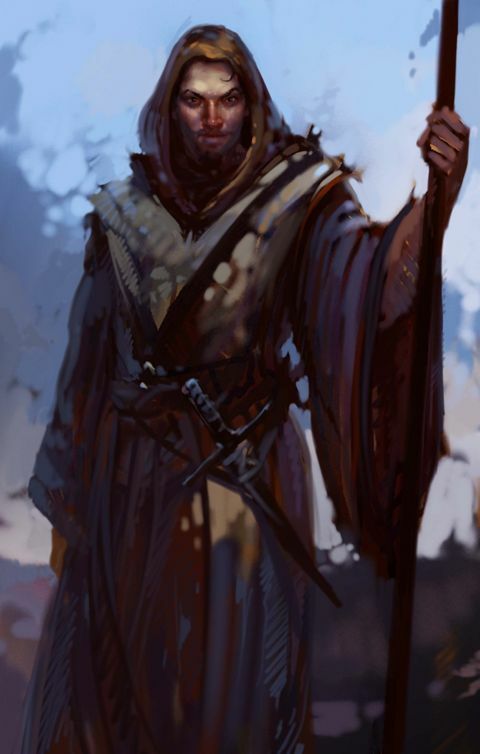 Can it get it right with Icewind Dale? Our resident RPG expert, Chris Brown, takes a closer look. To gamers of a certain age with certain genre proclivities the mere mention of the words “Infinity Engine” can cause a subtle glazing of the eyes, a faraway stare and a knowing smile. The engine was used for a very short period by only two studios, but it gave RPG fans five great titles in as many years. Three of these are widely acknowledged as examples of the very best the genre has to offer, the remaining two are also exceptional games but see much less attention. Icewind Dale is an exceptional RPG, and fine example of an Infinity Engine game - even if it did choose a slightly more linear and much chillier route. This is the definitive Icewind Dale experience. 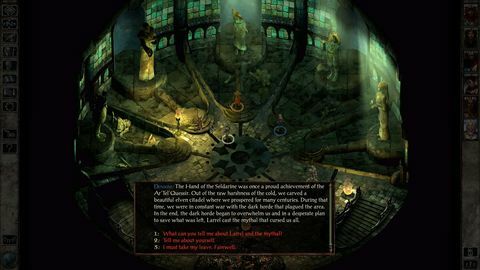 Unlike Black Isle Studios' Planescape: Torment, Icewind Dale focuses far more on monster slaughtering and dungeon crawling, than on telling a sweeping fantasy epic. In many ways Icewind Dale captures the feel of the classic tabletop ADnD experience far more than the other Infinity Engine games. The focus on a linear narrative and the steady crawl through the monster infested caves, dungeons, and ruins gives the game a sense of immediacy that can only come from a more action oriented game. The story may not be as involved as some RPG’s, and it's certainly not as complex as the other Infinity Engine intellectual properties but it’s expertly written. Every line of dialogue is delivered with depth and emotion, even if they are sparingly utilised. Your party’s adventure across the Spine of the World unfolds naturally. The escalating drama and deepening conflict is just as compelling as it was 14 years ago. 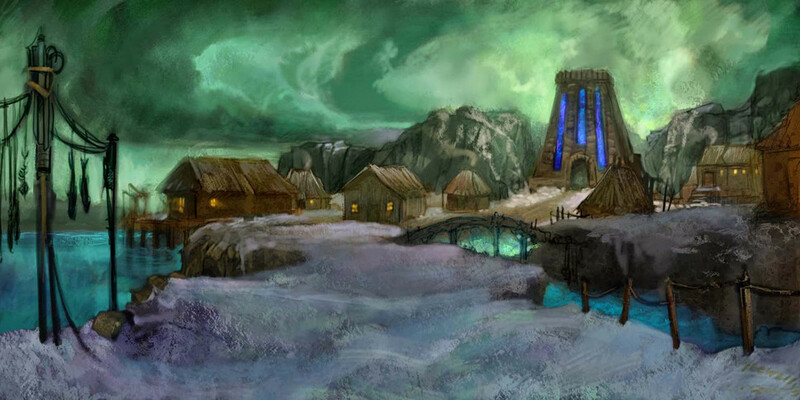 Trent Oster and the team at Beamdog have finally found their stride with Icewind Dale Enhanced Edition. It's a case of third time’s a charm. 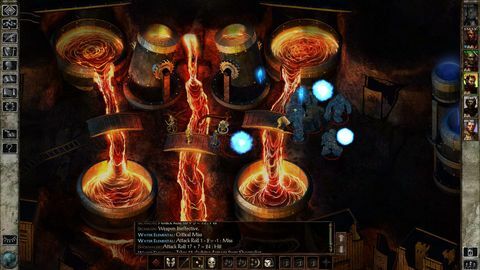 Devoid of the litany of introduced bugs and questionable additions that hamstrung the initial releases of both Baldur’s Gate games, Icewind Dale Enhanced Edition is a much more polished and user friendly game than its vanilla predecessor.The team has obviously invested in improving the core experience, bug squashing, rule fixing, and general tweaking. 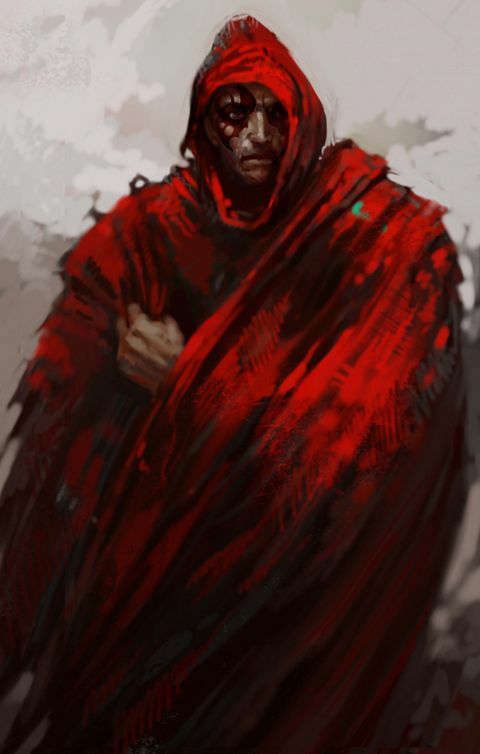 All of the previous enhancements from Beamdog’s earlier releases have been included here. The ability to zoom in and out makes a welcome return. The ability to render the UI at your screen’s display resolution is one addition that is great to see on release. Bugs have been crushed, text spellchecked, pathing and general performance have been refined. None of the fumbles seen in earlier releases seem to be present here. It’s not perfect, but this is a very solid release. The sprites are still a bit of an eyesore and their exclusion from the enhancement treatment is a real shame, but they can’t detract from the extra polish every hand drawn backdrop has seen. While it lacks some of the splendour of Baldur’s Gate, and does suffer from Chronic Ice Cave Syndrome, obvious care has been spent on making the game look as good as it possibly can. The music, which any fan of the game will remember, sounds exceptional. The soundtrack is powerful and rich with no apparent loss of clarity or compression noise that were present in the 2000 release. The game has never sounded this good. Fans old and new can experience the score as it was intended to be heard. The real magic of this Enhanced Edition is all the little additions that have been sprinkled into the mix. Rather than plonking in chunks of unneeded content as they did with the previous Enhanced Edition releases the team has decided to seamlessly add some extra flavour across the entire game. This is the definitive Icewind Dale experience. Along with extended quest lines, and previously excised content missing from the vanilla game, there are dozens of new items and spells. The inclusion of over 30 extra class kits makes creating your party even more involving. This is almost everything a returning fan could ask for, and something that newcomers will also appreciate. One of the few missteps is the inclusion of “Story Mode” difficulty which essentially removes all challenge as it gives your party immortality and doubles their levelling speed. It’s a bizarre inclusion that few gamers of any skill level will find a use for. It’s a minor irk and easily ignored, but stands out for being so wide of the mark. Beamdog has finally released a true enhanced edition of a beloved classic. It’s sure to please long time campaigners and new adventurers alike. The Infinity Engine may be showing her years. She does creak a little, and there is the occasional clunk, but she’s still got it where it counts. Ups It’s enhanced! The entire adventure is here including both expansions, as well as almost uncountable number of bug fixes, rule tweaks and meaningful additional content. Downs Story Mode is best ignored and forgotten. The Engine is showing its mileage even after all the work the team have put in.